Thank you so much for this! You have summed up my feelings, especially regarding the guilt I often feel about having my mother in assisted living. She has early-mid stage dementia. I often wish she could be in a different living situation but she is safe and actually content where she is. Again thank you for sharing your experience and understanding. In my profession and in my personal life I have seen people trying to care for their elders in their home without sufficient equipment for good care. I have seen families fight about what is “best” and I have seen caregivers die and the one needing care still living. Then who will step in to provide care? It is a must to have medical and durable powers of attorney in place as to desires and who is the executer. I, as a nurse, was the chosen one who retired and moved across the country to care for and be with my Mama. She was suppose to come live with me, per my deceased fathers desires. But when the time came, she refused. Without family support or other family available, I succumbed to her/their wishes. Should I have done that? No reason to play the shoulda’/woulda’/coulda game ’cause there is someone there to do it for you. I know, beyond a shadow of a doubt, my mother received the best care that could be given. And when she just progressively died in a Skilled Nursing Facility, I knew that she just gradually went to sleep with people around her who cared for her and loved her. Was I there to hold her hand? No, but the person who called me to come, held her hand and told her how loved she was as she slipped out of her earthly body and at home with her Lord. By the time I got there, she looked very peaceful. At her Memorial Service, on a terrible winter day, people drove distances to show their respect and love. Many came from the Skilled Nursing Facility, who had become like “family”. Jane, in my experience you are doing what you think best, and I commend you for it. We cannot judge! Just support! Wow! I’m glad I didn’t read that other post. 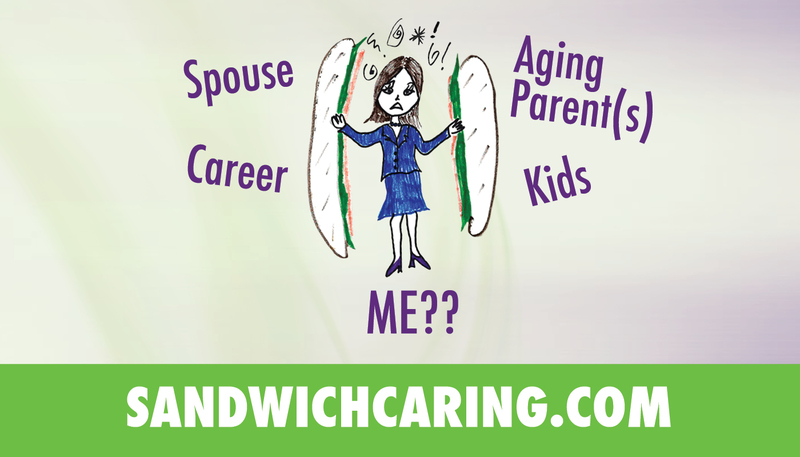 We sandwiched moms already have so much guilt! Feeling we are never enough! Wish moms would stick together on this stuff. As moms when we sacrifice time to care for aging parents that have so many medical conditions that need attention – often full time attention or always I call attention, we also sacrifice our relationships and presence with our husbands and children and employers. We also would sacrifice our own health and potentially continue to pass on this dilemma to our children. Can’t we all agree that we are going the best we can? There are so many options in some states for help with Children and young adults at home. I thank God for this. Obviously it is different issue to be in a facility at the end of life and to be placed for 50 years or more as a young person. There are also wonderful out of home programs for Adults with disabilities. I am so grateful that I live where I can get decent services for my children with disabilites who are now adults. It is federal law that all people with disabilites can choose community life and their state has to fund it. However the implementation requires law suits etc. Thank you Lord that my precious Daugher Kate went to heaven from Home. I am also so grateful that my boys are still here with us at Home. Some institutions (large isolating facilities) have done a very poor job. That is terrifying to me. When I go to these places I am outraged that anyone could be allowed to live this way. It is indeed a complicated issue when families feel they cannot do the care anymore and they do not get the help they need. Our systems must step up to value these individuals and serve them appropriately. Love you dear Jane and know what you have done for your dear Mother and continue to do. She is never left alone in the system and you are an excellent advocate for Her and others. God Bless you Dear Cousin. Mary K Hall. Mother of three severely disabled individuals and advocate for community life for people with disabilities. I notice you said ” In some states” and that inherently means in other states there may be few options. And in the case of an elderly person there is ONE OPTION, MEDICAID or private pay.Age is not considered a disability. It is simply something we must deal wtih. Again, my point was ” don’t judge another person’s sacrific.”. Period. And don’t make blanket statements. Period.